Recreate your favourite moments from hit movie Planes and control your own Dusty or El Chupacabra flying plane. Attach your plane to the ceiling and watch them fly a full 360 degrees. Requires 1 AA battery, not included. For ages 4 Years and over. There are several styles available within this assortment and unfortunately it is not possible to request which one you would prefer, so please allow us to pick one on your behalf…. 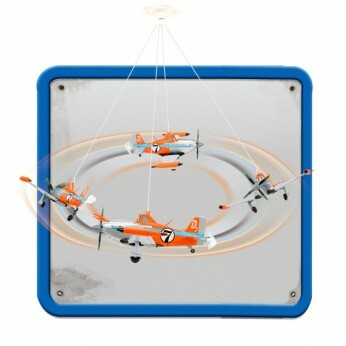 This toy costs approximately £14.99 (for the latest and best prices make sure you check our retailer list for the Planes Ceiling Plane above). In our review of Planes Ceiling Plane we classed it as being suitable for ages 3 years, 4 years, 5 years but recommend you check the manufacturer specific advice before purchasing.